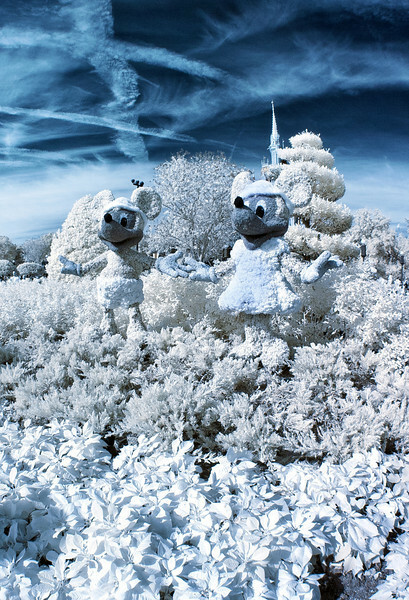 Minnie and Mickey Mouse frolic in the snow covered(?) Magic Kingdom Rose Garden? !